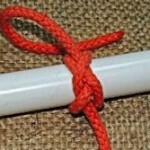 This is a relatively easy Diamond Knot to tie. 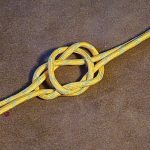 I think the thing that I really like about this particular Diamond Knot is that it is not often seen. 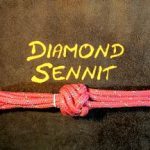 A rather nice decorative diamond knot that would look good on any lanyard especially on say a Ditty Bag Lanyard, even though it looks a bit like a tractor tyre. 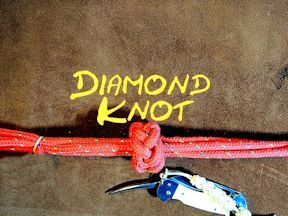 Thanks for diamond knot video! 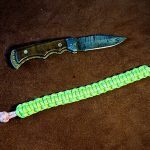 Need to attempt this for the 8 lanyards on a ditty bag. I might get lost halfway through the worm wrestling but without your explanation I know I wouldn’t have a hope. 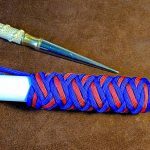 I do love a ditty bag, as it shows off your current skill set. I personally have four of them and I remember, after each one I said never again! Thanks for taking the time to post your comment.